The VAT rate in Switzerland is 8% and is included in the sales price. With prices in Switzerland as they are, any discount is welcome, so don’t miss out on your tax refund! 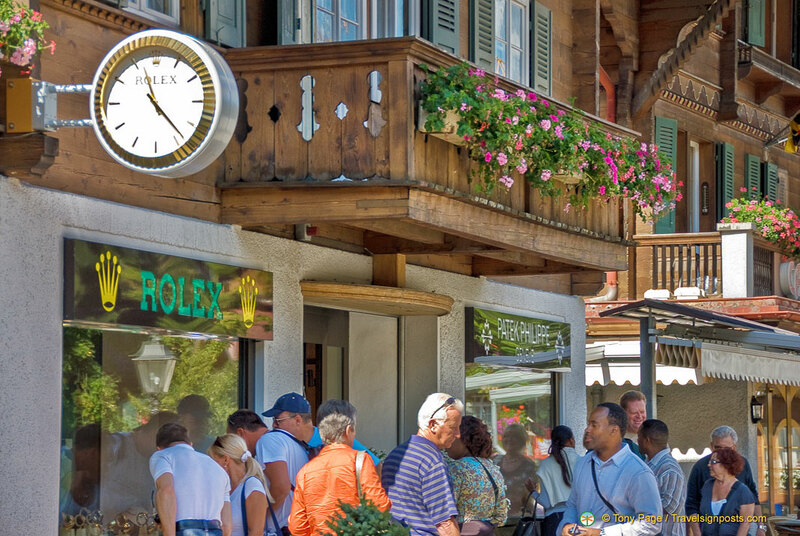 All visitors living outside Switzerland are entitled to claim back the VAT if they spend more than CHF 300 in one shop in one day. The goods must be exported within 30 days after the purchase date and the export must be confirmed by an official Swiss customs stamp. Shop where you see the Tax-free Shopping logo and simply ask for your Global Refund Cheque. You will receive an information leaflet with detailed explanation in different languages. When leaving Switzerland make sure that your Tax-free Shopping Cheques are stamped by Swiss customs authorities who may ask to see the goods. Remember, No Customs Stamp = No Refund. – Mail your Cheque to Global Refund. The refund will then be credited to a chosen credit card, a Swiss bank account or you will receive a bank check to your home address. Note: Global Refund is now called Global Blue. Nice Page! Please note that the VAT rate in Switzerland is 8% since 01.01.2011! Thanks a lot, Andreas, page changed accordingly! As all the countries surrounding Switzerland are part of the Schengen area, there are no passport controls at railway stations, so finding a Customs officer would be difficult. Occasionally, Customs officers do get on trains to do random checks to see if people are bringing in or taking out things that they’re not supposed to, but you can’t be sure of seeing one of these officers. I suggest you ask the shop people for advice before buying and there is also a tourist information desk at Zurich train station which you could check with when you’re there. If you don’t have any luck in getting your stamp in Switzerland, you could try asking Australian Customs to stamp your form for you and then mail it back. Some countries allow this, but I’m not sure what the situation is with the Swiss.